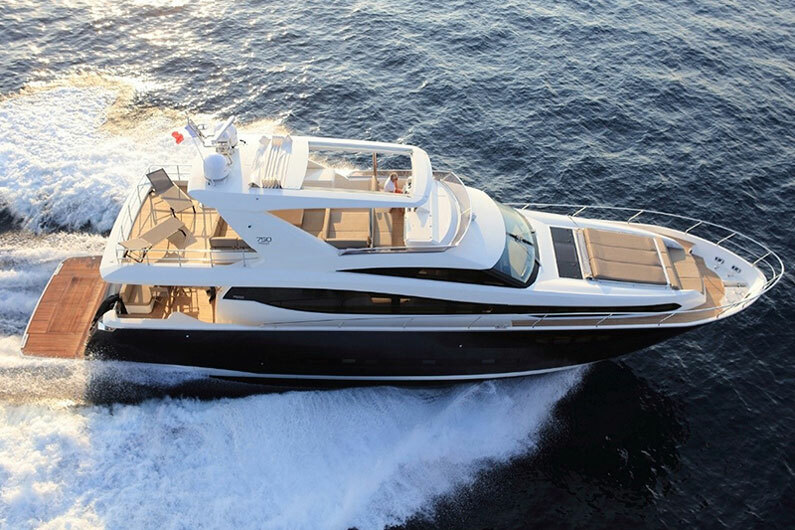 If you are looking for a luxury motor yacht, whether a flybridge model or a sport coupé, you need not look any further than Prestige Yachts with its complete range from 42 ft to 75 ft. Indeed, for each size you may choose to get either a flybridge model or a corresponding sport coupé.Some of the innovations and unique features you would find in Prestige luxury yachts are as follows. Prestige gives you a midship owner’s stateroom even for small yachts from 42 ft. By contrast, the owner’s stateroom is always forward for other yachts in this size range. A midship stateroom is far quieter than the forward stateroom whether you are making way or at anchor. Light sleepers will not hear the sound of water lapping against the stem or the anchor dragging. A midship stateroom with an en-suite bathroom takes advantage of the full beam of the yacht, hence it is much wider and larger. Not only that, Prestige even gives you a private access to the owner’s stateroom away from the guest staterooms! You can’t beat that for privacy! Most of the Prestige models allows you to easily convert the island double berth in the forward stateroom into twin sharing V-berths by sliding open the two halves. A self-contained crew cabin is available even for a 46ft model. For the Prestige 750 and the Prestige 680, you get the owner’s stateroom on the main deck, a feature you only find on superyachts and not on a yacht of this size. Unlike other yachts, Prestige designs the galley aft so as to provide convenient dining facilities for three different areas—the saloon, the aft deck and the flybridge! All models from the smallest to the largest can have optional hydraulic swimming platform. All models 56ft and above can be equipped with gyro stabilizer providing comfort to guests prone to motion sickness. 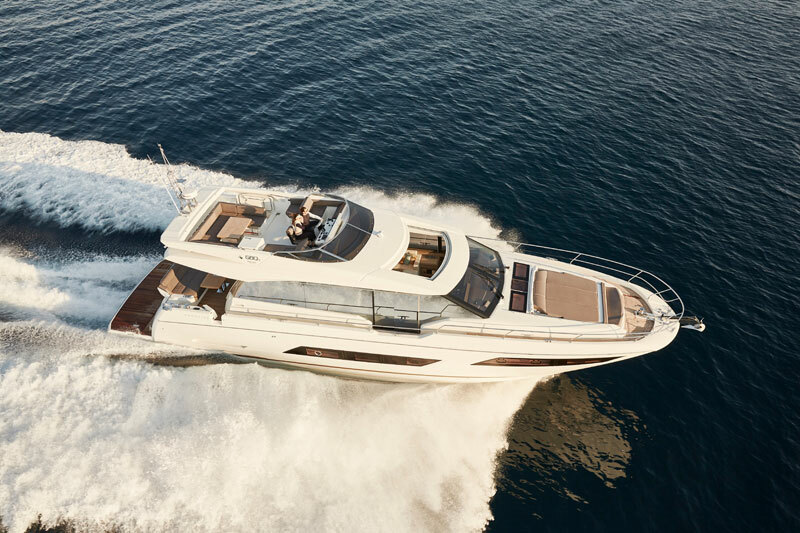 For every size Prestige offers two versions—Flybridge Model or Sport Coupé—to cater for different preferences. The Prestige 680S, 630S and 560S Sport Coupés have a bonus of a sport bridge yet still offering an opening sunroof in the saloon! The quality and uncommon attention to detail says a lot about the Prestige brand. Prestige is one of the most desirable brands of luxury motor yachts—and so French! All content Copyright © luxyacht 2017 All rights reserved..